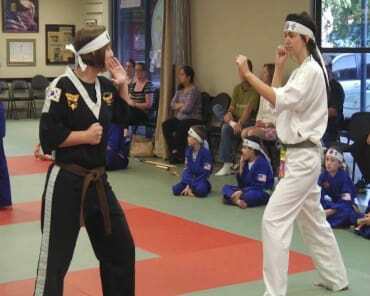 Azad's Martial Arts: Jong Shin Do Teaches Children And Adults Hapkido in Chico! 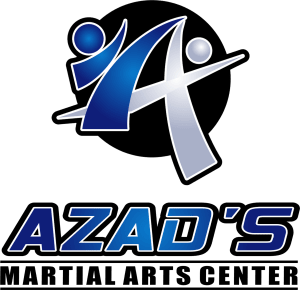 On a purely physical level, Azad’s students learn self-defense and get a full-body workout that develops strength, flexibility, coordination, and other abilities they can use throughout their lives. Jong Shin Do uses moves like kick-punching from Kung Fu, Karate, and kickboxing, as well as grappling techniques from wrestling and Jujitsu, strengthening muscles in the core, back, arms, and legs. Linda Patterson, whose daughter Iris has been an Azad’s student for four years, loves how the instructors “require respect from the students and also show respect to the students in return. They treat kids as individuals; they know Iris is going to learn differently than the child next to her.” Because they know each child’s abilities, Azad’s instructors never settle for second best, urging and supporting kids to show genuine effort. Regular practice builds stamina and endurance. 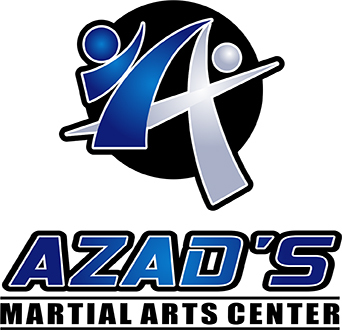 Azad’s creates the perfect opportunity for athletic kids who enjoy exercise but feel intimidated by high-stakes rivalries. While “mainstream” sports place kids against each other in a competitive way, Azad’s focuses on personal progress. Since students often practice in pairs, they still gain valuable teamwork experience while receiving lessons uniquely tailored to meet age, learning styles, and physical capabilities. In a society increasingly faced with childhood obesity and type 2 diabetes, Azad’s trains kids to fight for their own health and fitness while having fun. As a martial art that focuses on the connection between body, mind, and spirit, Jong Shin Do shows children how our choices never occur in a vacuum, but rather affect every part of our lives. 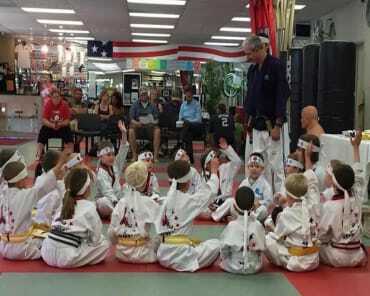 Even the youngest students at Azad’s learn nine tenets that spill from martial arts into all areas of life: courtesy, integrity, self-control, indomitable spirit, courage, compassion, modesty, and victory. Six-year-old Harrison Bamlet, who has only studied at Azad’s for a year, can already recite these virtues from memory, a testimony to how frequently his lessons focus on these attributes. 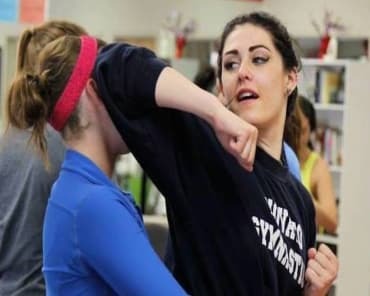 Sabrina, Harrison’s mother, says she selected Azad’s from other martial arts schools because Azad’s was the only one “who really asked about Harrison. They wanted to know about Harrison’s strengths and weaknesses, and what we wanted to get out of the lessons. We were looking for a place where Harrison could learn self-control, focus, and respect.” Azad’s proved the perfect answer. Over 10,000 students of all ages, abilities, and backgrounds have trained with Grandmaster Azad since 1985. As he reflects on Jong Shin Do’s impact over the decades, Grandmaster Azad says his system brings out the best in students, from developing physical strength and stamina to establishing self-confidence and respect for others. “We love to be part of that personal growth,” he says. Over the years, Grandmaster Azad has seen how confidence gives people the power to be kind. By building students’ confidence from the inside out, Jong Shin Do at Azad’s makes the world kinder, one student at a time.